The Advanced tab provides you with fast access to an array of advanced features, among them the Memcached distributed memory caching system and the Varnish Cache web accelerator, which will help you optimize your websites and apps without having to move away from the web hosting Control Panel. Depending on the web hosting plan, these tools are either included by default or are available in the form of easily gettable upgrades. Configure daily backups or activate the complimentary free VPN, manage dedicated IPs and activate SSH. Crontab, Varnish, InnoDB and NodeJS support is offered too. At iClickAndHost you have full control over your web hosting environment. You can select the PHP version you'd like to be running on your account - choose between PHP 4; PHP 5.2; PHP5.3; PHP 5.4, PHP 5.5 and now PHP 5.6. You can easily manage the PHP settings and configuration of your hosting account using the built in tool or you can modify your php.ini settings with just a few clicks. 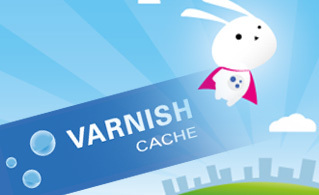 Varnish Cache is a web accelerator also known as a caching HTTP reverse proxy. You can install it in front of any server that speaks HTTP and configure it to cache the contents. Varnish Cache is really, really fast and will increase your web site's speed. One of the important pluses of Varnish Cache is the flexibility of its principal configuration mechanism, VCL, which enables you to choose how incoming requests should be handled. 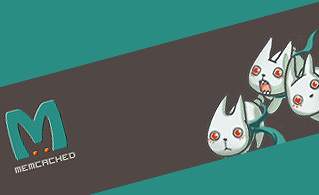 Memcached is a general-purpose memory caching system for boosting the load speed of dynamic database-powered websites. It is used to decrease the number of times an external data source (such as a DB or API) is read by caching data and objects in RAM. 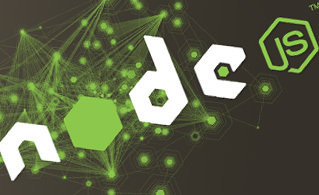 The Memcached distributed memory object caching system uses a client/server architecture. The Memcached distributed memory object caching system is employed by some of the most traffic-intensive web sites on the web and is supported by famous web applications like Joomla and WordPress. NInnoDB is the default database engine for the MySQL open-source DBMS. A database engine is the primary software component that a DBMS uses to create, retrieve, update and delete data from a database. The latest version of InnoDB features substantial improvements in performance, stability and functionality. InnoDB offers the standard ACID-compliant transaction attributes, as well as declarative referential integrity support. InnoDB is included by default in most binaries distributed by MySQL AB. Secure your web applications (WordPress, Joomla, PrestaShop, etc.) from hacker attacks by enabling ModSecurity. ModSecurity is a firewall that has been designed to work with and protect web applications from hacker attacks. We have configured the firewall to prevent all common website attacks automatically. By default, ModSecurity is enabled for all hosts, including VPS servers. An unique feature, exclusive to iClickAndHost customers! Seamlessly backup your website with Dropbox. All you have to do is connect your hosting account with your Dropbox account. Our smart system will do the rest and backup the sites and MySQL bases you have chosen on regular intervals. Additionally, we will also make automatic backups of your websites and databases on our servers, no matter if you use our Dropbox backup service or not. On top of the option to automatically save backups to your own Dropbox account, you can have a fresh copy of your website backed up daily onto a Google Drive . Connect your Google Drive account with Hepsia and never worry about losing your data! The Google Drive daily backup feature will soon be available for VPS servers with Hepsia Control Panel as well. Read how to set-up Google Drive backups. Enable VPN Access and divert all incoming and outgoing Internet traffic of a selected device trough one of our VPN servers. Connect to any of our VPN data centers in an instant from any web connected device at hand - a computer, a smartphone, a tablet, etc. You can also enable the VPN filter, which will automatically filter ads and compress images, in order to save you the extra traffic. Connection authentication details - the username of your hosting account and your VPN password.